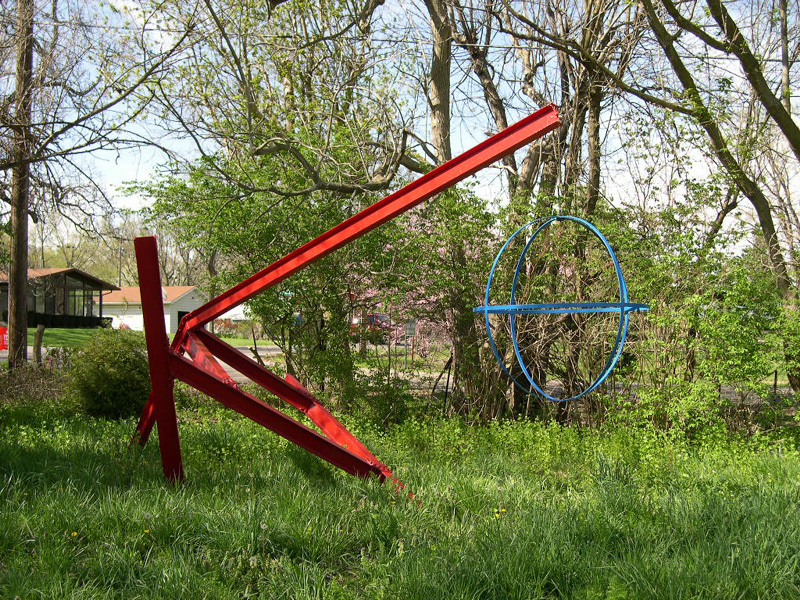 : Jon Barlow Hudson, “Grinell Bridge Piece,” Ohio Outdoor Sculpture Inventory, accessed April 20, 2019, http://oosi.sculpturecenter.org/items/show/1511. The Ohio Outdoor Sculpture Inventory (OOSI) represents a survey of all the outdoor public sculpture in Ohio. This nationally-unique statewide collection is now being expanded with new sculptures, information and images. The Sculpture Center is an arts institution dedicated to the advancement of the careers of emerging sculptors of Ohio and its greater region and the preservation of outdoor public sculpture as a means to support artists and enrich the community.